The Graduate Center offers fitness classes facilitated by the Doctoral Students’ Council and the Student Affairs Office. Students, Faculty, Staff and Community Members must register in person at the Student Affairs Office, room 7301. Payment is required prior to registration and before the first class for all classes, see schedule below. Registration is first come, first served. Class will be cancelled if insufficient registration. $10 registration fee is applicable each semester for Faculty, Staff and Community Members. Please note: As a result of a newly implemented CUNY financial procedure, all payments for fitness classes must be made at the Bursar window on the 8th floor, room 8105.07. 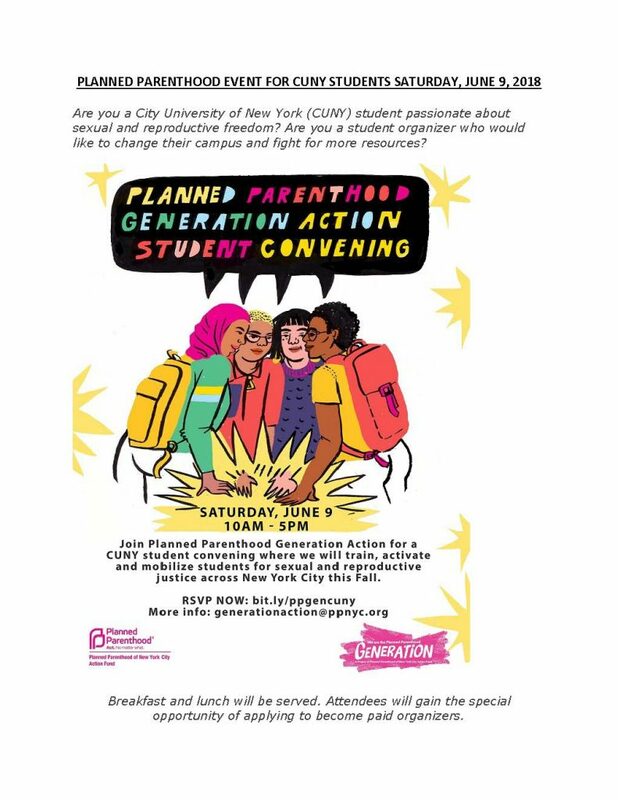 Payment may be made by cash, money order or check made payable to the Graduate Center, CUNY. Credit cards will not be accepted. To enroll in a class, you will need to pick up a registration form from Students Affairs Office, room 7301, complete it and take it to the Bursar’s Office with payment. You will receive a receipt for the amount paid which then needs to be returned to the Student Affairs Office, room 7301 to officially register for the fitness class(es). No payments will be accepted at the Student Affairs office. Do you often feel like a fraud, faking your way through graduate school, just waiting for your true inadequacies to be exposed for all to see? Enduring and sometimes overwhelming feelings of fraudulence are central to psychological experience known as The Imposter Phenomenon. In this interactive workshop, we will discuss The Imposter Phenomenon, and work to help students develop strategies to combat this often crippling experience. Ben Stark & Daam Barker are Clinical Fellows at the Wellness Center, Student Counseling Services. Please note that no food or beverages will be allowed during this workshop. 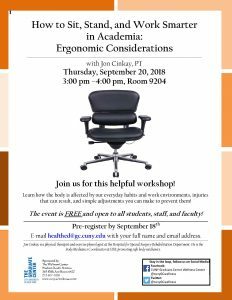 Registration is MANDATORY for this workshop. To register stop by the Wellness Center Student Counseling Services in Room 6422 to fill out a workshop application. The application has also been attached here for your convenience; email and fax is acceptable. For more information please call (212) 817-8731. You must have your student ID with current validation sticker available to present. Are you feeling stressed? Overwhelmed? Does it feel like you’re always somewhere else, ruminating about the past or worrying about the future? Are you engaging in behaviors to manage stress that you would like to change? Mindfulness is a practice of learning to attend to the present moment with more acceptance. It is a systematic way of slowing down, observing one’s reactions, and relating to experiences with greater ease and compassion. 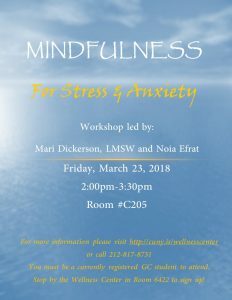 Mindfulness has been shown to enhance well-being by reducing the impact of stress and helping people cope with symptoms of anxiety and depression. In addition, mindfulness can be applied to managing urges and cravings to use substances or other problematic behaviors such as self-injury and over-eating. 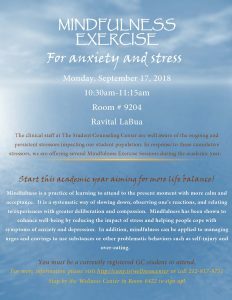 Join us for a workshop to learn the basic principles of mindfulness along with guided practices that can be easily incorporated in daily life. 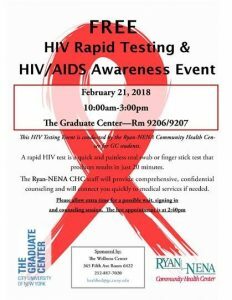 Mark your calendars: Come join us Wednesday, February 21st on the 9th floor for the GC Wellness Center for a FREE HIV Rapid Testing and Awareness Event with Ryan-NENA Community Health Center until 3:00pm. 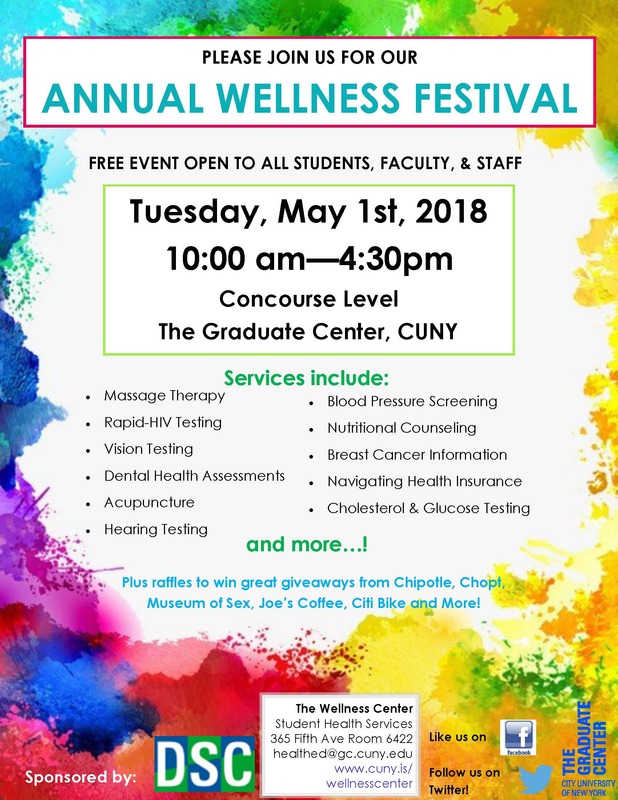 The Ryan-NENA CHC staff have generously agreed to visit us at the Graduate Center to administer free and confidential Rapid HIV Testing. 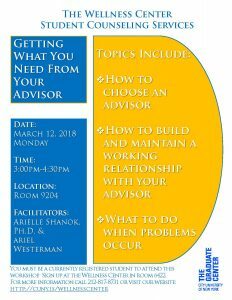 To register stop by the Wellness Center Student Counseling Services in Room 6422 to fill out a workshop application. The application has also been attached here, email and fax is acceptable. For more information, please call (212) 817-8731.